WA's favoutite cruiser and LOADED with options! This 2011 model could not have another option fitted if you tried, as she was the highest option C40 we had put together at the time. Replacment today it would be around $950k One owner boat that been boatman maintained since new and is ready to go for summer! The Caribbean 40 is truly a boat for all occasions. Fuel to 2000ltrs, water to 600ltrs ( plus watermaker), beds for up to 9, spacious saloon, 110 sq ft of back deck, 2 x davits for a jet ski plus a tender... Capable and safe enough to take to the Kimberly's, or Exmouth... Bunker Bay... Or just across the pond to Rotto for a week. Fishing for 2 or a beach house for the larger family that you can move around to where you want to at 30+ knots. ... The choice is yours. Put together by us... Mansfield Marine / CARIBBEAN WA. Perfect maintanance history and under 200 hours! 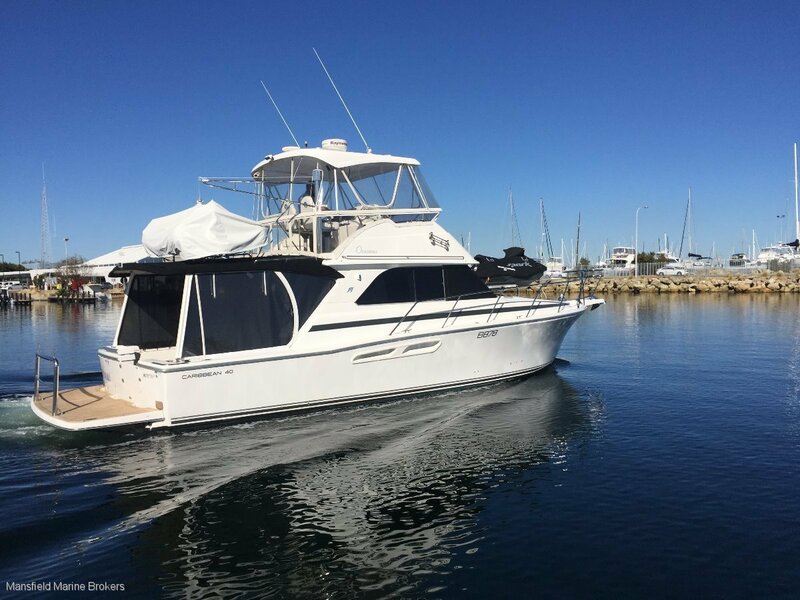 Contact Mansfield Marine Brokers Hillarys or Fremantle to view this vessel, although this vessel is located in Fremantle. Has to be seen if you want a CARIBBEAN 40 not much else will stack up against this boat!